11/10/16 Update: Avail of your Cavalia Odysseo discount tickets, they are coming back to Irvine this November 2016. 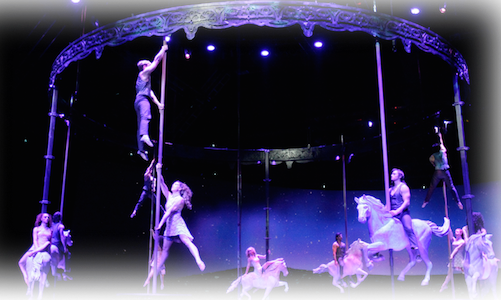 Cavalia Odysseo is a show created by Normand Latourelle featuring 65 horses and 48 riders, acrobats, aerialists, dancers and musicians in a soulful and touching journey around the globe, celebrating the bond between the two species. Cavalia Odysseo is a $30 million extravaganza that expands the definition of performance into an epic and soulful experience that is astonishing audiences and wowing critics across North America. We are excited to see it since the kids loves horses. 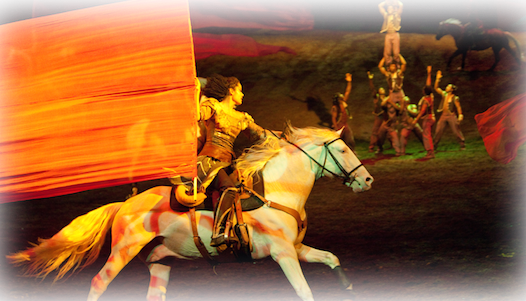 Known as the world’s largest touring production, Cavalia Odysseo marries the equestrian arts, stage arts and high-tech theatrical effects at never-before-seen levels. This larger-than-life show sends hearts racing, but it is also a feast for the eyes that succeeds in delivering the spectacular with soul. 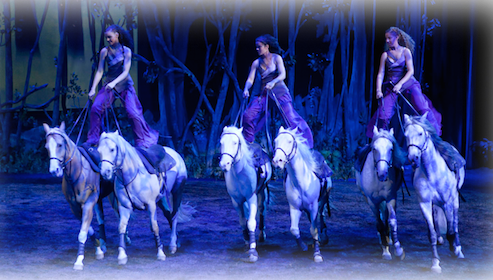 Beyond the impressive technical display and equestrian and acrobatic numbers that are unlike anything ever seen on stage, Cavalia Odysseo is first and foremost a work that feeds the soul. The poetry flowing from this grand adventure shines a light on a more humane world where human and horse may live in harmony.